Simply stated, Conversion Rate Optimization (CRO) is the new SEO. Every day the internet gets more complicated with Optimization marketing jargon: Search Engine Optimization, Landing page optimization, website optimization, local optimization, mobile optimization, content optimization and keyword optimization among others. So to add Conversion Rate Optimization is to complicate matters. To a layman, the term CRO can sound like another jargon that should be left to marketing geeks. For a long time, many people have heard so much about SEO, but not CRO and many of them are contented not to know anything about CRO. However, it is beginning to dawn on them—online business owners, bloggers, affiliate marketers etc—that CRO is actually a big deal and is interconnected with SEO. If SEO is casting a net wide while fishing, then CRO is catching the right fish. In other words, CRO is the art of converting traffic brought by SEO methods. CRO is what you do after getting the click. So after SEO, the next mountain to be conquered is CRO. Sure, you can work yourself lame, do everything that needs to be done to attract a tsunami of traffic to your site, but if none of those visitors are signing up, making purchases, subscribing, engaging your content or otherwise converting, then your efforts will still come to naught. According to SEOMoz‘s Rand Fishkin, CRO is the most overlooked, yet the highest Return on Investment activity for any business or organization. If only online businesses can start to learn how to apply CRO, then can they start to generate so much income. Companies simply need to assess their spend value and determine where they can get the most value. 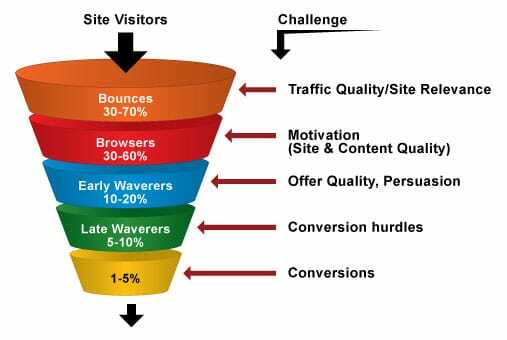 The tangent between the curve of SEO and conversion optimization is the point with the most value. That is what we call Conversation rate optimization. For instance, if you have 1000 visitors to your website and 100 people convert, your CRO is 10%, which is an impressive rate by a mile. eConsultancy estimates that 77% of businesses are either neutral or dissatisfied with their conversion rates. Only 2% of businesses are very satisfied with their conversion rates. This is despite the fact that 89% of companies see CRO as very crucial to their marketing efforts. So how do you combine SEO and CRO (Conversion Rate Optimization) to improve results? Before I show you how to combine SEO and CRO to improve results, it is worth emphasizing that CRO is the logical point of SEO. No one goes into SEO with the sole aim of just driving traffic into a website without expectations of conversions. One thing that Google does, through Penguin Updates, is to try to devalue sites with unnatural links. This essentially helps websites to convert because there aren’t many distractions. Reducing the number of links in your content improves SEO and passes more value to the linked pages. More links will increase distractions and reduce the probability of logical choices. It is also important to refine your purpose by taking away non-essential content and adding timely calls to action. By all means, you should avoid thin content as this not only reduces your SER, but also decreases your online reputation. It is better to explain more details and specifics along with testimonials and reviews. The depth of language and content will give you positive results in terms of encouraging visitors to dig deeper and spend more time on your site. Reduced speeds in your landing page leads to the dreaded bounce rates. Speed is arguably the most important thing in conversions. According to KissMetrics, reduced speed is costing businesses billions of dollars without their knowledge. As a matter of fact, Google is now using Speed in its ranking algorithms. Kathryn Aragon of Crazyegg wrote in her post that 1 second of page load delays leads to 11% fewer page views and 16% reduction in customer satisfaction. Reduce redundancy — do away with unnecessary content, video embeds, social media shares and analytics tools. Although these things are important, it does not help having 5 different analytics. Minimize scripts — remove the parts you aren’t using and run a minification script to get rid of the white space. Remember, every second counts. Optimize images — large images take longer to load so using the smallest possible image is advisable, though you have to maintain the quality. JPEG image format is your best option. PNG is also good. Reduce redirects — redirects take long to load because they create additional HTTP requests. So keep them to a minimum. However, not every page can be shareable on social media. If you really want to make the page shareable, then you have to put in extra work to make it shareable. Getting clicks is not the end of the story. In fact, it is the beginning of the next important step— converting those clicks. Clicks alone do not earn you anything. It is what you do with those clicks is most important. If you concentrate on making your content simple and shareable and increase the load speed of your site, you should begin to see very positive results in terms of CRO. This article is written by Masroor. He is conversion rate optimization analyst at Invesp where he helps businesses in improving the overall conversion rate of their website. 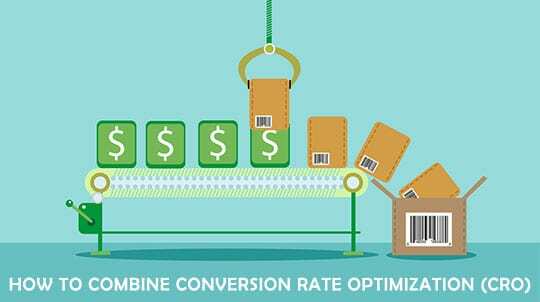 Check out Invesp conversion rate optimization blog. Follow him on Facebook, Twitter, Google+ and on LinkedIn.